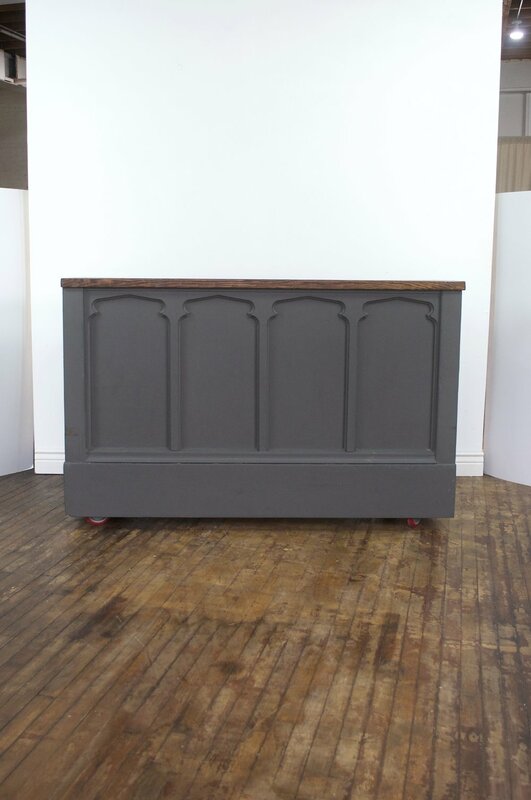 Our Samuel Bars have been handcrafted out of reclaimed pew screen. They have been painted a charcoal grey that coordinates with any style. They are each five and a half feet long. When combined, they provide almost eleven feet of bartending space. Inside they have 17 inch deep shelves, and they are on large, locking, castor wheels for ease of movement.